If a breakup or divorce has drained your confidence and shattered your self-esteem, this book is for you. 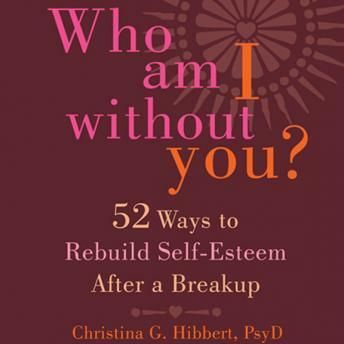 Written by a clinical psychologist and expert in women’s health, Who Am I Without You? will help you work through your heartache, rediscover your self-worth, and learn to live and love again. Comprised of fifty-two small chapters, the tools and exercises in this book are easy to apply, and will help you pick up the pieces of your broken identity, put them back together, shine yourself up, and get back out into the world—whole again and better than ever.